RIVIERA DOGS: Clipper - Tintin's dog? This little 5 month bundle of trouble is called Clipper and belongs to friends who live in south western France and in Monaco. He is a replacement for Scupper, who died far too young. You can read Scupper's story by clicking on the link. 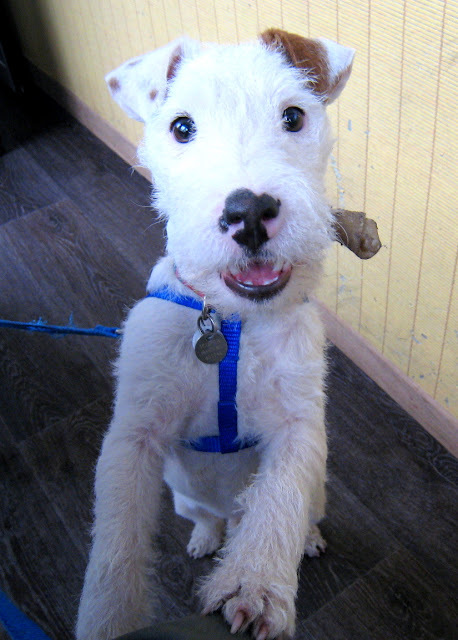 To me, Clipper looks so much like Tintin's dog, Milou - called Snowy in England. His ears don't stick up but he has that look - probably because he hasn't yet got full pigmentation around his eyes. If you don't know Hergé's famous Tintin stories, do click on the link. 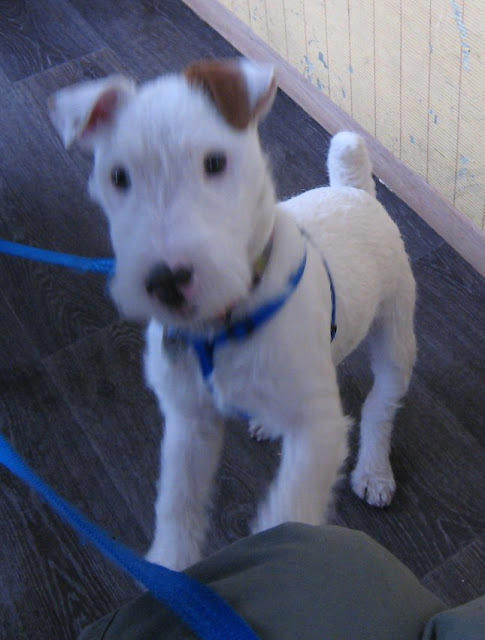 This last photograph - below - is out of focus, but I'm using it cos in this he really is Milou/Snowy! I wonder if he'll have as many adventures in his life as Tintin's dog. I sure hope so. A wonderful read, Jilly, about Scupper.